If you’re on this website, it means you have already started the journey along the path to a slimmer, healthier you. 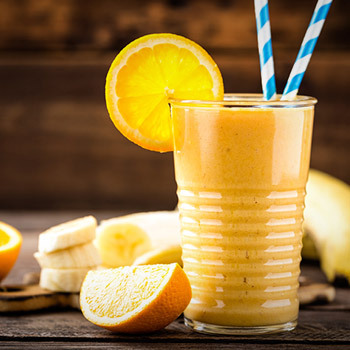 Here are some recipes to help you on your journey. 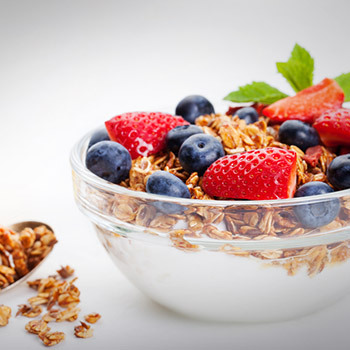 TIP: Make sure there are no raisins or dried cranberries in your breakfast as they are High-GL and shoot your blood sugar up. 1. Pour yoghurt into bowl. 2. Sprinkle with nuts or seeds. 3. Add fruit and drizzle with honey. Mix the eggs and low-fat milk/water in a bowl. Add the salt and pepper and whisk for one minute. Add a dash of olive oil to the pan on medium heat and swirl. Add the filling ingredients on top of the omelet (spring onions, tomato, bacon/lean mince/ham). 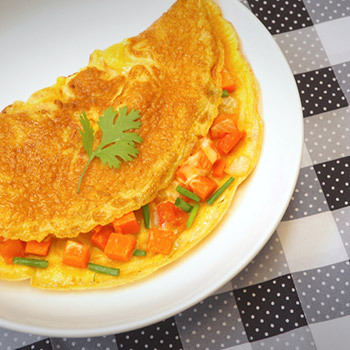 Once the omelet seems cooked fold it in half and serve with rye toast. As a variation, add in green peppers or mushrooms. 1 punnet of berries (frozen or fresh) raspberries, blueberries, gooseberries, strawberries, etc. If it is too thick, thin it with a little water or apple juice. Beat the eggs together with the pepper. Heat olive oil in the pan and pour in the beaten eggs. Slowly stir the eggs and remove when cooked. Serve on the rye toast. Place the oats and water in a pot. Bring to the boil and then reduce heat to let it gently simmer, stirring often. Allow the oats to thicken and the oat flakes to soften. Serve into bowl, adding salt, xylitol and cinnamon according to taste. Heat olive oil on medium heat in a non-stick skillet. Add the onions and cook until translucent, just starting to turn golden in colour, about 6 minutes. Add the tomatoes and cook over low heat until the liquid evaporates, about 40 minutes. Whisk the eggs in a bowl until well blended. Season with a little salt and pepper. 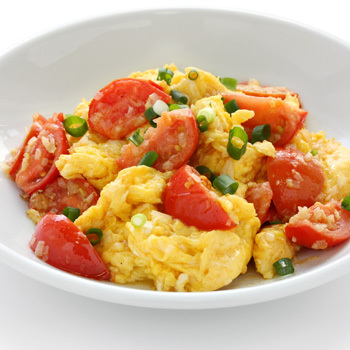 Add the eggs to the tomato and cook over medium heat, stirring constantly, and scraping from the bottom with a wooden spoon. Remove from heat as soon as the eggs begin to set, but are still moist, about 3 minutes. Turn out onto a serving plate. Serve immediately. Spray muffin pan with non-stick spray or line with cupcake liners. Mix oatmeal, salt, baking powder, cinnamon. 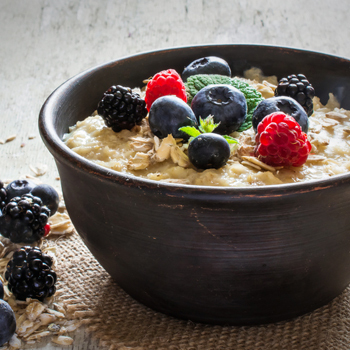 Add remaining ingredients until it resembles slightly runny oatmeal. 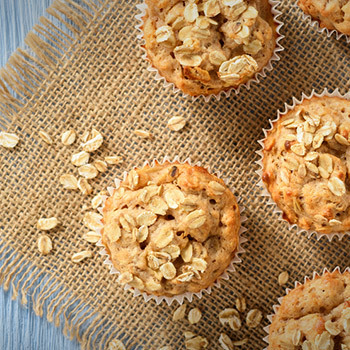 Fill muffin cups ¾ full. Bake 15–20 minutes until golden brown. Whisk eggs, milk, salt and pepper together. Pour mixture into pan (spray pan with Spray and Cook), and cook. 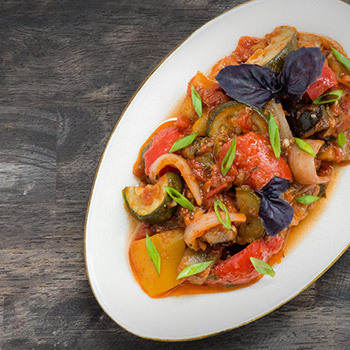 Fill with tomato, mushrooms and baby marrows sautéed in canola oil. Flavour to your liking and serve. Fry baby marrows and garlic in canola oil until golden brown. Add chopped tomato and olives. Spice with salt and pepper, xylitol, cayenne pepper and 1 tsp vinegar. Serve on bread that is spread with low-fat cottage cheese. Pour chicken stock and water into a very large saucepan. Add the butternut, green apples, onion, lentils and curry powder to the stock and water and cook until tender (about 1 hour). Meanwhile, peel the skin off half the washed orange (or grate the orange peel) and squeeze out the juice. 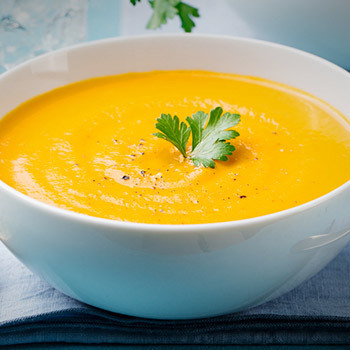 Cool the soup slightly and then puree it to the desired consistency with the orange juice, adding a little milk if it is too thick. 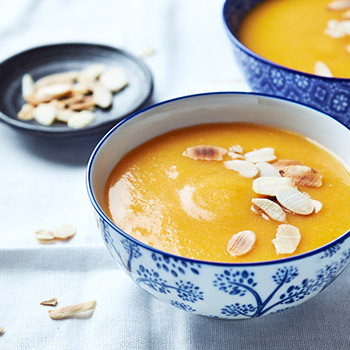 Serve in heated soup bowls with a swirl of yoghurt (15 ml or 1 tbsp per serving) and a sprinkling of grated nutmeg. Boil chickpeas in salted water for 15 minutes (chickpeas can be eaten raw if preferred). Add chopped cucumber, tomato, lettuce and onion. Fry bacon in a pan (spray pan with Spray and Cook). Add nuts and raisins to the salad. 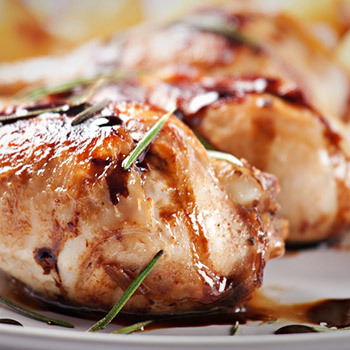 Balsamic vinegar can be added as a salad dressing when served. 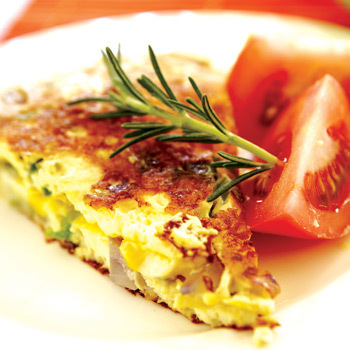 Whisk eggs with milk and add a pinch of salt and pepper to taste. Dip the wholegrain, low-GI bread into the egg mixture. Add 5 ml canola oil to the pan and heat over low heat. 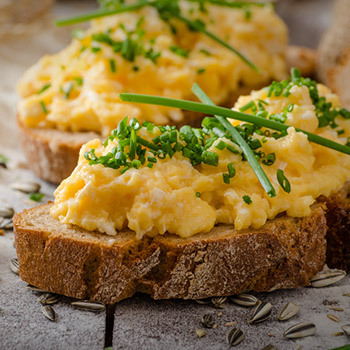 Fry the raw egg-dipped bread. Add the onions, garlic, salt and pepper and fry till brown. Chop tomato into small pieces and add into onion mixture. Add sweet basil and xylitol to relish. Fry chicken strips in canola oil, with lemon juice and salt and pepper. Add mushrooms, baby marrows/patty pans and olives with margarine. 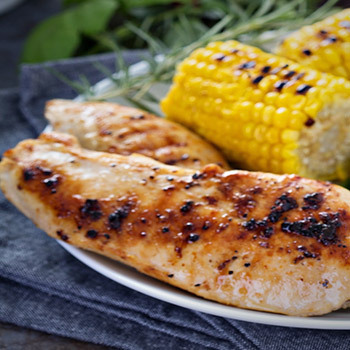 Simmer and serve with corn cob. 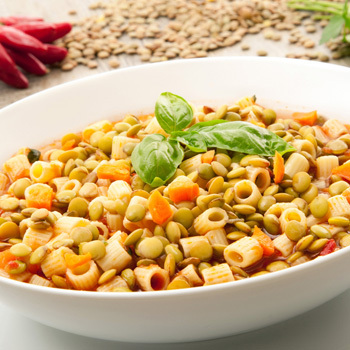 In a pot, combine all the ingredients except corn, baby marrows, butter beans and pasta. Simmer for 15 to 20 minutes. Add the corn, baby marrows, butter beans and pasta. Simmer for about 10 to 20 minutes until the vegetables are tender and the pasta is cooked. 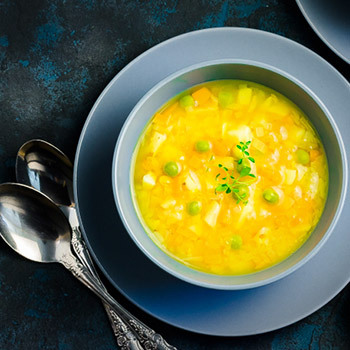 Place pearl barley in a large saucepan and add vegetable stock. Add the rest of the vegetables and bring to the boil again and simmer for 15 minutes. Add the split peas and heat thoroughly. 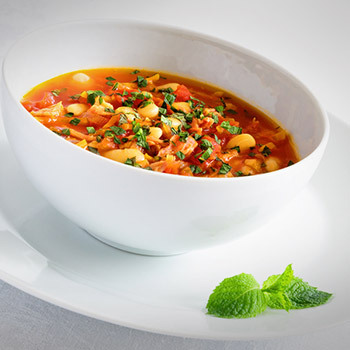 Sprinkle the parsley over the hot soup and serve immediately. Marinade: mix together soy sauce and honey. Place chicken in a non-metallic bowl and pour the marinade over it. Toss the chicken well to coat it and refrigerate for 30 minutes. Heat 15 ml of the groundnut oil and 15 ml of the sesame oil in a wok or large frying pan. Add the chicken and stir fry for 5–6 minutes, until cooked through and browned. Remove it from the pan and allow to cool. Add remaining oil, garlic, chilli and ginger to the pan and fry, stirring and scraping the bottom of the pan for 3–4 minutes until the garlic starts to brown. Stir in the vinegar and water, then bring to the boil and remove from the heat. 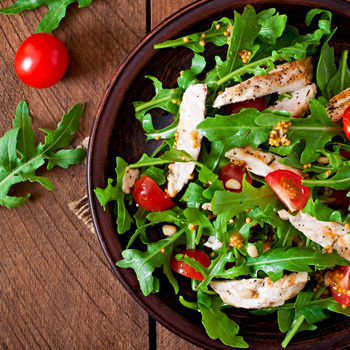 Arrange the salad leaves on plates, top with the chicken strips and spoon the warm dressing on top. Add asparagus, and cook for 2 minutes. Add peas, and cook for 2 more minutes. Transfer vegetables to a large bowl and set aside. 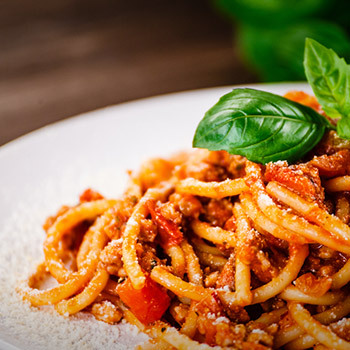 Add pasta to the boiling water and cook for 8 to 10 minutes or until al dente. Drain. 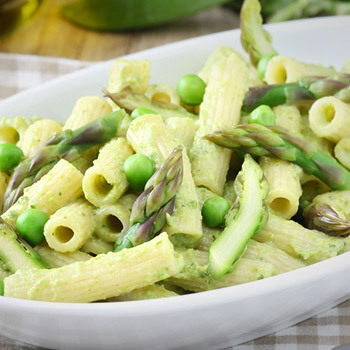 Place pasta in the bowl with asparagus and peas. Toss with olive oil, parmesan, salt and pepper (add the extra pesto if desired). Spread the hummus down the center of the wrap. Place the salad (cucumber and lettuce) on top. 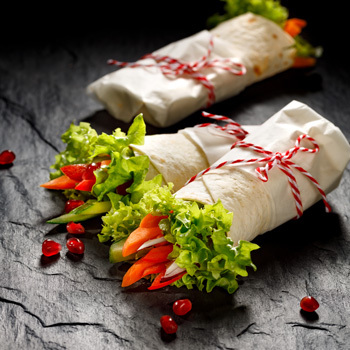 Evenly distribute the peppadews over the wrap. Sprinkle with pepper and roll up. 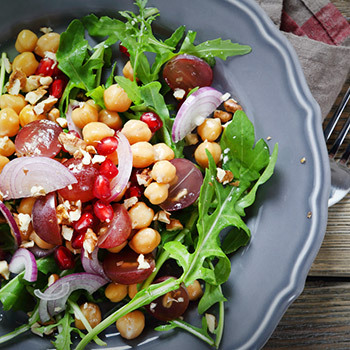 ½ bag mixed salad leaves of your choice e.g. rocket, lettuce leaves, butter lettuce, etc. Add all the salad ingredients together (except the balsamic vinegar and olive oil). Drizzle with balsamic and olive oil. In a medium sized bowl, combine the soy sauce, vinegar, cornstarch, Xylitol and red pepper. Set aside. Heat a large skillet over high heat. Add the olive oil and rotate the skillet until completely covered. Add the chicken, garlic and ginger root. Continue cooking for 6 minutes or until chicken is cooked throughout. Add the bell pepper pieces and continue cooking for an additional minute. Pour the broth mixture to the skillet. Cook and stir for 1 minute or until the sauce has thickened. Sprinkle evenly with green onions. To prepare, slice zucchini and yellow squash into 2.5 cm sections. Dice tomatoes. Mince garlic, parsley, scallions and cilantro. 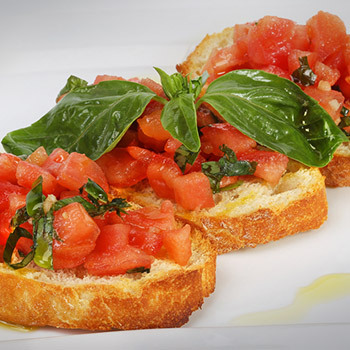 Combine diced tomatoes with cilantro, scallions, salt and pepper to create salsa crudo topping. 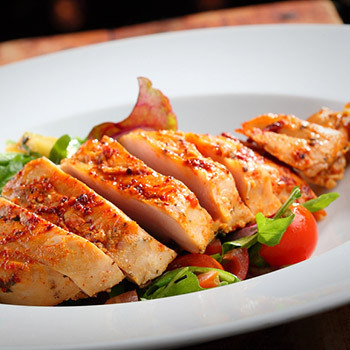 Season chicken breast cutlets with seasoning, paprika and parsley. Begin to warm garlic & extra virgin olive oil in sauté pan. 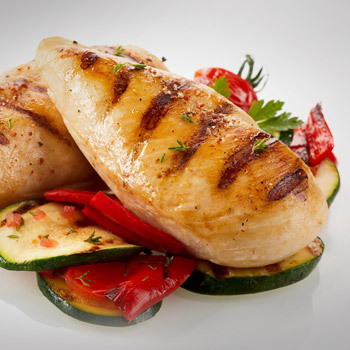 When garlic aromas become apparent, add seasoned chicken cutlets and add white wine. Sauté chicken in pan until chicken is ¾ done. At that point, add zucchini, yellow squash, and lime juice. Cover and steam until vegetables reach desired texture. 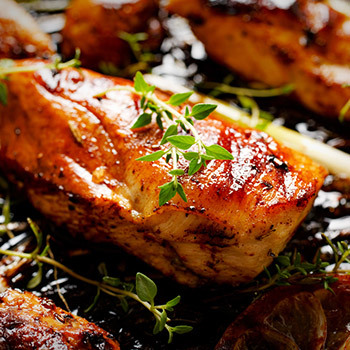 Remove chicken and vegetables when cutlets reach a caramelised-looking texture. Plate chicken and vegetables, and finish by adding desired amount of salsa crudo to the top of chicken. Enjoy! 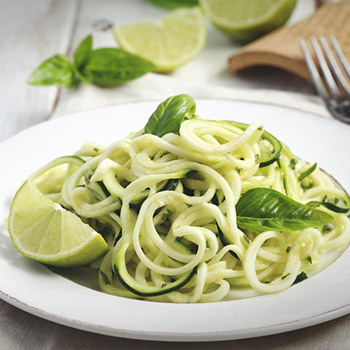 With a good potato peeler, create long “noodles” by starting at the top of the zucchini and peeling wide ribbons down the length of the zucchini. Continue making ribbons as you turn the zucchini to get all the green part off first. When the center portion becomes too thin, set it aside to use for a salad and start a new zucchini. Add the olive oil and zucchini “noodles”. Saute the “noodles” for 2 to 3 minutes. Serve with your favorite pasta sauce. I like to eat these with red sauce and meatballs! Fry onion and garlic in canola oil until golden brown. Add chicken pieces and cook till soft and tender. Add spices (ginger, xylitol, curry, nutmeg and cumin). Fry lean mince and garlic in canola oil until golden brown. Season with salt and pepper and herbs of choice. Add mixed vegetables and allow to simmer. Pour mixture into a deep oven-proof container. Add low-fat milk, margarine, salt and pepper to mashed potato and cover mince. Bake in the oven for 15 to 20 minutes. Boil rice and lentils in salt water until cooked. Optional: Gravy (balsamic vinegar and spring onion). Cut gem squash into 2 halves, boil in salted water until soft. Margarine and xylitol may be added into gem squash halves. Spray pan with Spray and Cook. Add chicken, water, lemon juice, salt, pepper and cayenne pepper to pan. Cook macaroni in salted water. Cook brown lentils in salted water. Add canola oil to a pan and fry the chopped onions and garlic. Add cooked brown lentils, macaroni, milk , a pinch of salt, cumin, curry powder, bay leaves and jam to the onion and garlic mix. Cut carrots in diagonal slices till a ½ cup is filled. Cook carrots in a little salt water for 10 to 15 minutes. Add xylitol with margarine to carrots and fry. Add apple and heat till soft (should not be browned). Add pumpkin and grated potato to pot. Add boiled water with a 1/4 chicken stock cube. Add seasoning (black pepper, salt, nutmeg, cumin, curry powder). Stir milk into the pumpkin soup. Serve with nuts mixed in. Boil brown rice and lentils in salt water until soft. Fry onion in canola oil until golden brown. Add red/green pepper to onions, and fry for a few minutes. Add baby marrows and chopped tomato. Xylitol may be added to dish. Fry onion and garlic in canola oil. Spice with salt and pepper. Add boiled water as needed and allow to simmer. 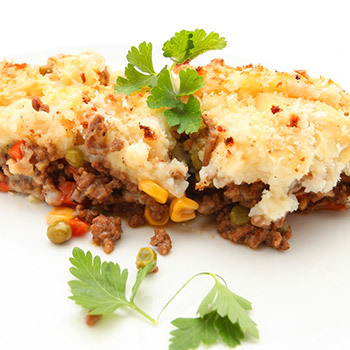 A teaspoon of low-fat cottage cheese can be added to mince if a creamier texture is desired. Preheat oven to 180 ⁰C. Place sweet potato on lightly oiled oven tray, spray with oil. Roast uncovered for 25 minutes or until tender. Meanwhile, bring stock to boil in a small sauce pan. Reduce heat, simmer, uncovered. Heat oil in a medium saucepan, cook onion, garlic and celery, stirring often, until onion softens. 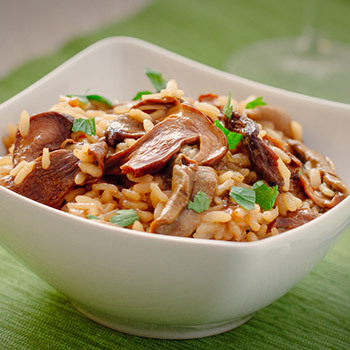 Add the mushroom and rice, cook and stir for 2 minutes. Add stock, reduce heat, simmer (covered) for about 50 minutes or until stock is absorbed and rice is tender. Stir in sweet potato, lemon rind and parsley. Preheat oven to 180 ⁰C/200 ⁰C. Pierce potato skins in several places with fork, wrap potato in foil; place on an oven tray. Bake for about an hour or until tender. Mash avocado coarsely in small bowl, stir in onion, tomato, coriander and lime juice. 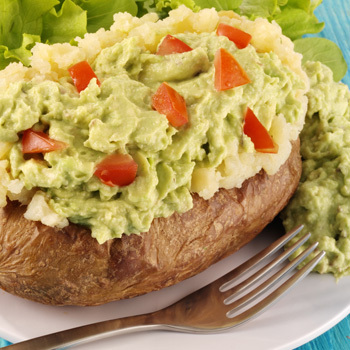 Cut a deep cross in potato, serve potato topped with guacamole accompanied by the assorted green leaves and lettuce. 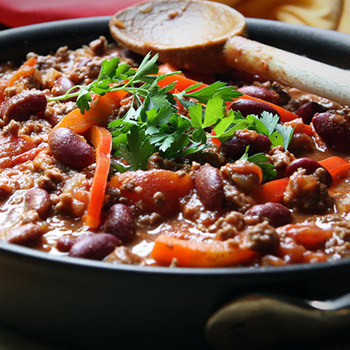 Place the ground beef to brown in a large skillet on low to medium heat. Stir occasionally to break up and prevent burning. Season to taste with your favorite seasoning such as salt and pepper. While the meat is browning, cut up or chop vegetables into small bite-sized pieces and set aside, except for the onion, in a large bowl. Once the meat is browned, remove from the skillet, drain if necessary (although there should be minimal grease with the extra lean beef) and then place the chopped onion to sauté with a touch of olive oil on low heat. Once tender, add garlic, pepper, and a few tablespoons of roasted chili and turn it up to medium heat to get everything sizzling. Then add in the rest of the vegetables, stir, cover and turn down to low and allow to simmer for about 5–10 minutes. Finally, add the browned ground meat back into the skillet, stir, cover and cook on low for an additional 10–20 minutes, depending on how tender you like your celery. By itself, it’s a wonderful healthy way to eat a lot of vegetables with your beef, thereby improving the glycaemic load of your meal. 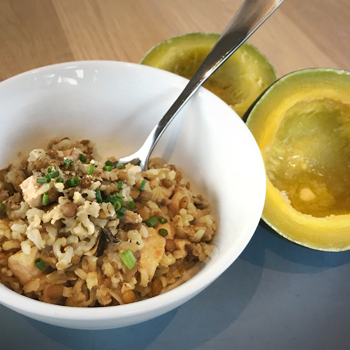 It could also be served over rice or pasta if your diet allows the extra carbs. As a variation, substitute black or kidney beans for the meat or add beans to the recipe to take the antioxidant levels up a notch. Coat the chicken with the flour. Heat the oil in a 30-centimeter skillet over medium heat. Add the chicken in 2 batches and cook until well browned on both sides. Remove the chicken from the skillet, cover with foil. Add the onion and garlic to the skillet and cook until tender. Stir the broth, vinegar and thyme in the skillet and bring to the boil. Return the chicken to the skillet. Reduce the heat to low. Cover and cook for 5 minutes or until the chicken is cooked through. 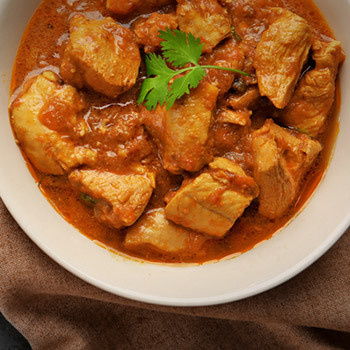 Serve the chicken and sauce with rice or mashed potatoes. Based on a recipe from Campbell’s Kitchen. 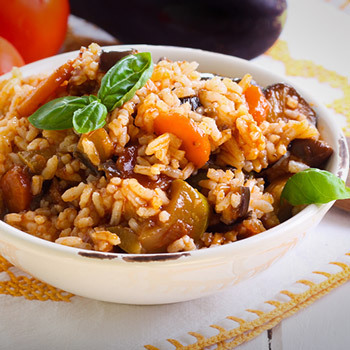 Toss the aubergine (eggplant) in vegetable oil and salt. Heat a griddle pan until very hot. Griddle the aubergine until striped on each side. Mix together the yogurt, lime juice, garlic, coriander, cumin, garam masala, paprika, melted butter and lemon juice (keep some butter and lemon juice back for later). Coat the aubergine with the yogurt mixture. Marinate in the fridge for 2 hours. Preheat the oven on grill. 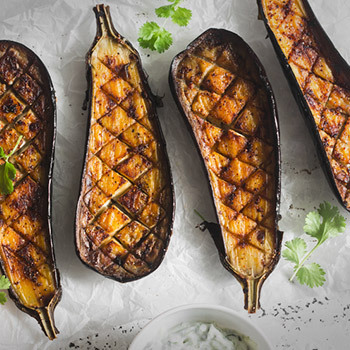 Brush the aubergine with a mix of melted butter and lemon juice. Grill until golden on all sides. 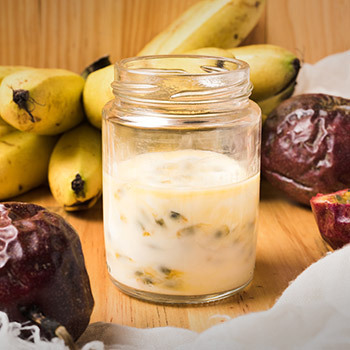 Combine the yoghurt and half of the granadilla pulp in a small bowl to create a yoghurt mixture. 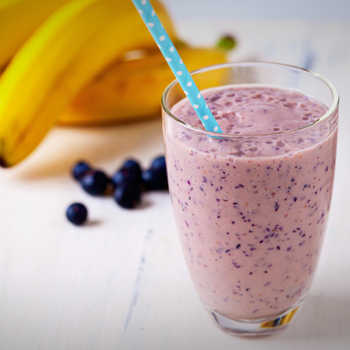 Place banana in a separate bowl and pour the yoghurt mixture over it. Cover with the remaining passion fruit. Juice the oranges on a hand juicer and pour it into a glass. 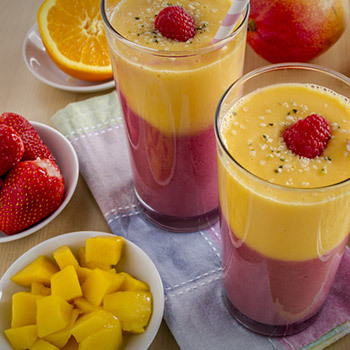 Blend mango and strawberries in a blender until smooth and stir into orange juice. Cut the chili peppers in half lengthwise; scrape out seeds and membranes. Fill each half with cream cheese, but do not mound it. 115 g should be just about the right amount for 8 average size jalapeno halves. If you have extra large peppers, make sure you have a full 230 g of cream cheese on hand. 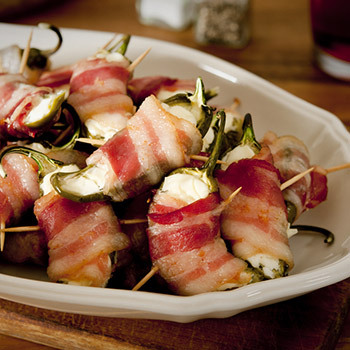 Wrap each pepper with ½ slice raw bacon, making sure to start with the end on the bottom of the pepper. Stretch the bacon slightly to make it go all the way around each pepper once, then tuck ends underneath. Place cream cheese side up on foil-lined baking sheet. These can be assembled and chilled until just before baking and serving. Bake at 190 °C (375 °F) for 20–25 minutes. If bacon isn’t quite done, broil a few more minutes to brown.